The digital outlook for 2013 was the focus of a recent report by market research firm IDC. The results were based on a thorough analysis of the IT trends from social networking, mobile operating systems, big data, and cloud innovation. Key predictions from the report included the rise and reign of the “mini” tablet next year, along with the potential role of Google and Facebook in the growing bring-your-own-device (BYOD) trend. TabTimes.com offered an overview of the digital directions and dynamics forecast for 2013. 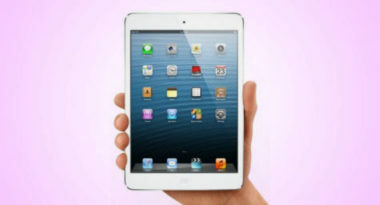 The report revealed enormous momentum for the “mini” tablet and estimated that 60 percent of the expected 170 million tablets sold in 2013 would be these smaller tablets with screens less than 8 inches, such as the Apple iPad mini. This increasing demand for smaller tablets should parallel the growing trend of people using their mobile devices to go online. According to the report, the market for tablets and smartphones should expand by an additional 20 percent next year, with mobile devices in general accounting for 57 percent of the IT industry’s total growth. In regard to the BYOD phenomenon increasingly seen in business, the report suggested that both security software vendors and IT companies would start to incorporate popular social media networks into their e-commerce practices. The purpose of such social media integration would be tighter security to help IT businesses accurately validate employees and customers accessing their data. In addition, BYOD was expected to evolve into bring-your-own-identity (BYOID). Finally, the report proposed that 2013 could be a difficult time for mobile operating systems. They could potentially lose their market share unless they increase their app development for their individual operating systems. “There will be much greater urgency in 2013 as the market moves way past the exploration stage to full-blown high-stakes competition,” said IDC chief analyst, Frank Gens, in regard to the urgent need for innovation and progress throughout every aspect of the IT industry. For an innovative mobile marketing strategy for your brand, contact MDG Advertising. MDG Advertising, with offices in Boca Raton, FL and New York, NY, is a full-service advertising firm and one of Florida’s top digital marketing companies. MDG’s 360° integrated marketing approach uses just the right mix of traditional and online media to reach your marketing goals. While some industries may fare better in print and others online, we strive to create a balanced approach where traditional, social media, and digital marketing efforts support each other and your marketing message is tailored to the medium. To learn more about the bring-your-own-device (BYOD) trend and what’s new in mobile marketing, contact MDG Advertising.